Magnetic power steering feedback - Vatner Kft. Press release, Magnetic field and aerodynamic media research and development of system components in simulators that provide realistic power steering feedback. Vatner Industry, Trade and Service Ltd. has received 164,905,000 HUF in support for its „Magnetic field and aerodynamic media research and development of system components in simulators that provide realistic power steering feedback” titled and GOP-1.1.1-11-2012-0488 identifying numbered project from the European Regional Development Fund. With a total budget of $ 240,300,000, we plan to develop prototypes and technology for realistic operation and force feedback in aircraft and car simulators. In the framework of our project, we are planning to develop a technology that has not been known in the field of simulator parts, including aircraft simulator governments, which will create controls that provide realistic operation and power feedback. The result of research and development tasks involves more novelty content from both a scientific and a technical point of view. From the research point of view, it is important that the applied model is a special, continuous, differential equation system based mathematical model, non-discrete, static solution based on interpolated tables. In the field of mechanics, we plan to use linear motors which has outstanding novelty content. The conversion of rotary motion – linear motion with rotary axle motors has consequences that are undesirable for the “feel” of the simulator. The magnetic field as a force transfer medium is in direct contact with the actuated control that is why there is no mechanical element that would make the system ineffective or slow. In addition to, we take advantage of the fact that the dynamic properties of the magnetic field are very similar to the effect of the resilient force created by the airborne airplanes. Taking advantage of this, we have created a model in which the magnetic field plays a role not only as a mediator but also as an active working medium. We started the project on January 1, 2013. More information about the company and developments can be found at www.vatner.hu. “VATNER” Industry, Trade and Service Ltd. 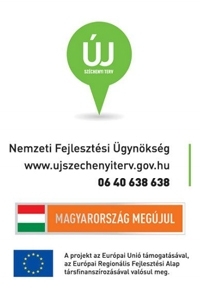 Address: 1077 Budapest, Wesselényi u. 20-22. Mailing address: 1393 Budapest, Pf. 332.